Home / Uncategorized / Tampon Tax Axed! What good news! Thank you for being on the cutting edge of this policy so important to women, children and families in the District of Columbia. We really appreciate you sharing this impending legislation with the DC Federation and for exposing its significance to the members of the National Federation of Democratic Women by writing an article for the NFDW’s Newsletter. Thanks a million!! 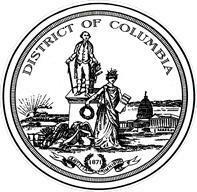 WASHINGTON, DC – On Tuesday, November 15, the Council of the District of Columbia approved final passage to two bills authored by At-Large Councilmember Anita Bonds. The “Feminine Hygiene and Diapers Sales Tax Exemption Amendment Act of 2016” will eliminate the sales tax imposed on feminine hygiene products and diapers for children and adults. In most states, items that are considered necessities are exempt from sales tax and if approved by the Mayor, the District of Columbia will join several states that have enacted the tax relief for these needed products. The Rent Control Hardship Petition Limitation Amendment Act of 2016 will only allow conditional rent increases when the housing provider proves they are losing money on the rental property. [Previously, housing providers were granted the rent increase regardless of whether they were experiencing a monetary loss or profit.] Additionally, the bill requires the housing provider to refund the tenant any rent adjustment owed within 21 days of a conditional rent increase being amended. “By limiting these conditional rent increases, we remove a significant burden on low-income renters and greatly decrease their likelihood of being displaced or becoming homeless,” stated Councilmember Bonds. The legislation will be sent to Mayor Muriel Bowser for her approval and if approved, forwarded for congressional review.